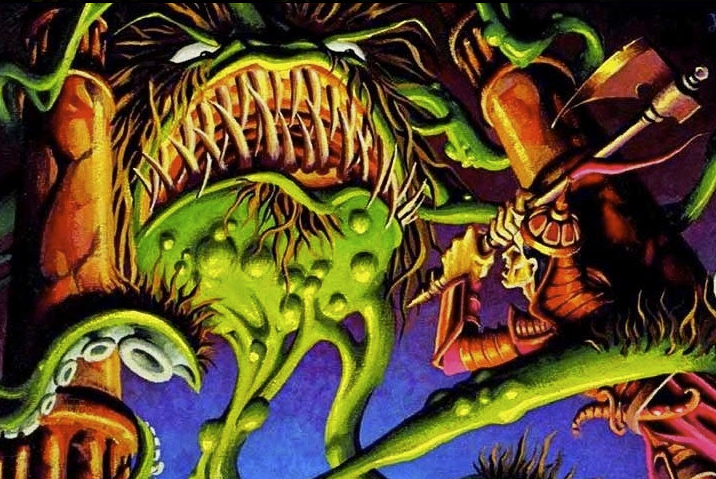 Happy Birthday StarControl! ya influence on Books, Movies, Gamers and Games will last forever! BRING ON "STARCONTROL ORIGINS" AND "GHOSTS OF THE PRECURSORS"! Nice, fake screenshots on that cover. Greg Johnson, who designed the Starflight series, worked on Star Control II. He also worked on Deluxe Paint! He later joined Electronic Arts back when it was only a couple dozen employees and worked on the Adventure Construction Set. Today, he leads HumaNature Studios. Really appreciate the acknowledgment of the anniversary, and the extensive write up on the career evolution of SC2's pool of talent, to say nothing of the terrific tribute artwork! Noticed the Orz illustration on the site here already and was wondering what you guys were up to considering the position of non-intervention with the classic lore. Would love to see more of these. It is pretty amazing the team Paul and Fred assembled. It’s worth noting that Fred may have done all the coding personally which is pretty amazing. 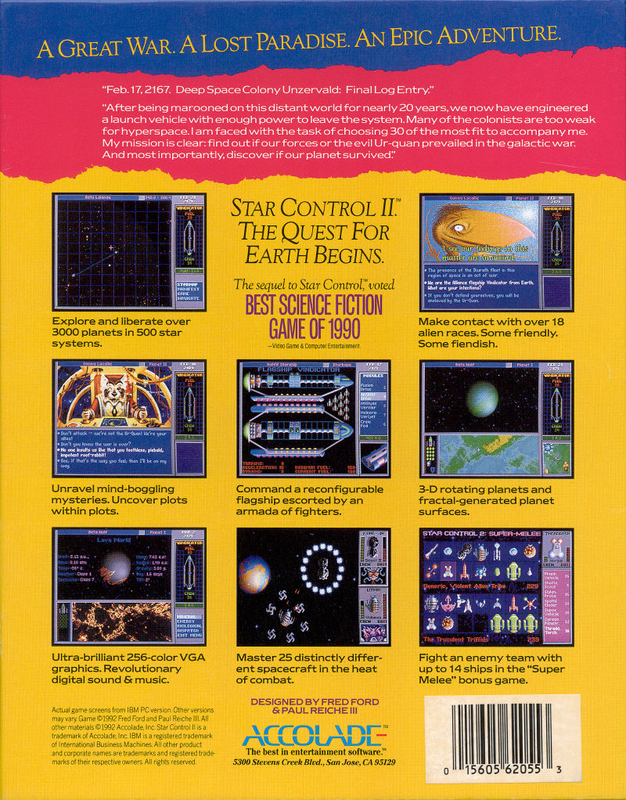 Star Control II was truly lightning in a bottle. I am pretty excited to see what they come up with next. I had sent them interview questions awhile back and had art commissioned for the occasion but with Ghosts now publicly announced we are all trying to take care as to avoid creating the appearance of collusion. 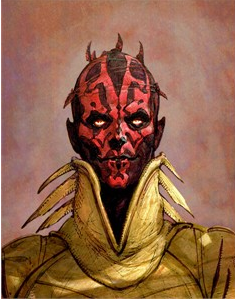 Speaking of art, will you be releasing more of the aliens from the Ur-Quan universe? Or how about some for the aliens from Kessari? Quite an interesting read. Thanks for posting. Nice article. I must be one of the few that did play Starflight. One of my first PC games I bought. StarControl was in fact a new type of game with string story for the time. I see that they have a lot of good talent at the time. You have a lot of work to do Stardock to top that And I hope you will succeed. This is Greg Johnson, thanks for the nice article! 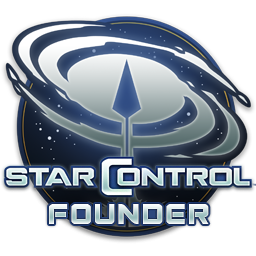 I did indeed help out on Star Control II (And the original Star Control One Melee), and was the designer of StarFlight. It's great to see Star Control II getting appreciated. It was quite an achievement for it's day. One comment I'd like to make is that this is a fine article but it leaves out a couple important things, first is that the genius of the engineering of this game was all Fred Ford, a one-man engineering marvel. We used to joke about how Fred was really an android - he is so amazing. Fred can code and carry on a conversation with you at the same time - no joke - and he never misses a step. Likewise it doesn't give enough clear credit to the creative genius of this entire Universe and all of it's amazing character, content and game play, which comes straight from the fascinating and sometimes rather bizarre mind of Paul Reiche III. Paul and I shared a tiny office in those early days, and then, once Fred joined Paul we were across the hall from each other... and we took long walks everyday in the Novato hills as I listened to Paul coming up with the characters and story of Star Control. It's Paul's delightful humor and crazy story telling that make this game what it is. His warm and playful personality shines through all of it. Paul also mentored me and guided me as I built Starflight, and as I entered the game industry 35 years ago, and then I helped out a bit on his game mostly doing art and a little of the dialogue writing with his direction. Those were really the garage shop days of game making. Oh and I also roomed with Iain McCaig in those days - an amazing talent too, and a great guy. This article says Iain did writing for the game but I don't believe he did - just some concept art. Anyway hats off to both Paul and Fred. Thanks for giving us an amazing and memorable game! This is Greg Johnson, thanks for the nice article! I did indeed help out on Star Control II (And the original Star Control One Melee), and was the designer of StarFlight. It's great to see Star Control II getting appreciated. It was quite an achievement for it's day. One comment I'd like to make is that this is a fine article but it leaves out a couple important things, first is that is the genius of the engineering of this game was all Fred Ford, a one-man engineering marvel. We used to joke about how Fred was really an android - he is so amazing. Fred can code and carry on a conversation with you at the same time - no joke - and he never misses a step. Likewise it doesn't give enough clear credit to the creative genius of this entire Universe and all of it's amazing character, content and game play, which comes straight from the fascinating and sometimes rather bizarre mind of Paul Reiche III. Paul and I shared a tiny office in those early days, and then, once Fred joined Paul we were across the hall from each other... and we took long walks everyday in the Novato hills as I listened to Paul coming up with the characters and story of Star Control. It's Paul's delightful humor and crazy story telling that make this game what it is. His warm and playful personality shines through all of it. Paul also mentored me and guided me as I built Starflight, and as I entered the game industry 35 years ago, and then I helped out a bit on his game mostly doing art and a little of the dialogue writing with his direction. Those were really the garage shop days of game making. Oh and I also roomed with Iain McCaig in those days - an amazing talent too, and a great guy. This article says Iain did writing for the game but I don't believe he did - just some concept art. Anyway hats off to both Paul and Fred. Thanks for giving us an amazing and memorable game! Hi Greg! Wow thank you for adding to this this! The more I researched this the more impressive Fred Ford's work has become. From what I gathered, he led the effort for the 3DO version of the game. That is also good to hear regarding Paul. I think, generally speaking, Paul and Fred get a lot of credit already. 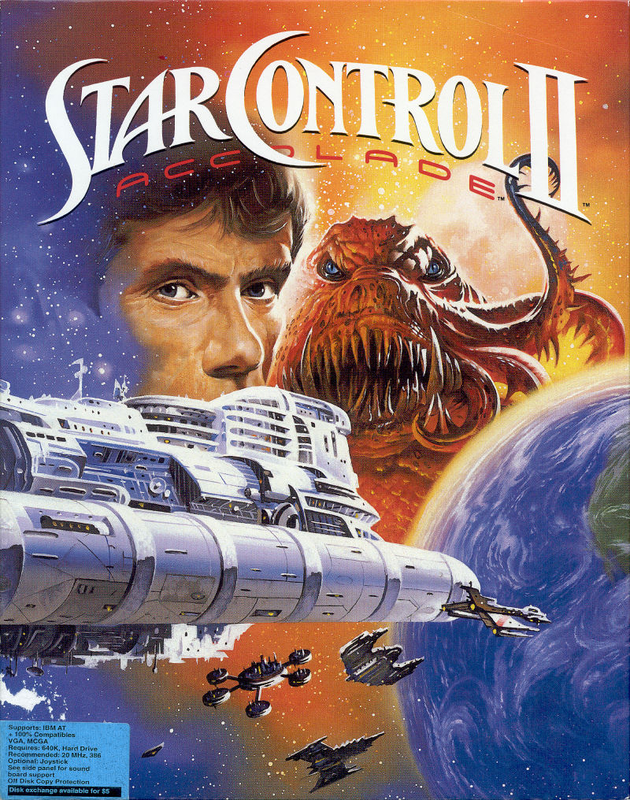 For many years, I and others, actually thought that Star Control was made by just Paul and Fred with music provided by third parties. It wasn't until later that I knew about you, Iain and the other amazing people in it. What I find amazing is how Star Control II was like lightning in a bottle. That so much immense talent came together for a time to develop something that has stood the test of time to this very day. Hi Frogboy! I'm always happy to chime in, and thanks again for this retrospective. Yes, indeed, Paul and Fred found some talented people to help out for sure, but don't forget this was 30 years ago when it all started, so pretty much all of us were just starting our careers and hadn't done much yet. Maybe with the exception of Iain, who I think was simply born doing amazing artwork. But I remember Kyle Balda, just some art student who borrowed my car because he couldn't afford one, and Matt and Erol and Greg Hammond, young D&D pals just starting out, all of us a bit young and clueless...but very enthusiastic. Great memories from those days - it's very nostalgic though it makes me feel very old now. Haha And fun to see where people have gone in life from there. That sounds amazing. I'm very envious! Kyle Balda, who is now the director of the Minions movies, was an art student back in those days. I'm not that familiar with Matt. I'd love to update this article with anything recollections you might have. Back then, there was no Internet really to communicate with. You would have had maybe Fidonet or Compuserve or something so it's amazing you guys were able to connect. Not to mention Riku who is over in Europe. How were you guys even able to connect back in those days? Greg Johnson, sorry to get all fanboyish for a sec, but I just wanted to say that Starflight is one of my all-time favourite games and I never thought I would have a chance to thank you for it. It was and still is an awesome game. I still have my original copies of Starflight 1 and 2 on my gaming shelf. I admittedly haven't played them in a while (hell, who has a 5.25" floppy disk drive these days) but I remember them like it was yesterday and absolutely love the games. I am, of course, a massive Starcon fan, but we all know what Starcon was a spiritual sequel to, and that's mostly all down to you. Sorry to fan all over you, I'll let myself out. Thanks for the enthusiasm and sharing good memories. Starflight was my very first game and way back then none of us on the team had ever made a game before. As I mentioned above Paul Reiche sort of took me under his wing and mentored me through the process of building a game, so a lot of what works works in that game was due to his good advice. And maybe luck to some extent that it all just worked. As to being a spiritual successor, I guess that's not a coincidence. Paul always wanted to make his own Space Saga type game so after guiding me through Starflight he and Fred decided to do their own take on what a game in that genre could be like. Paul sure came up with some pretty wacky stuff. We had daily melee battles in the office and Paul and I enjoyed a friendly rivalry with our melee skills. He was REALLY good with the Drooge and the Urquan, and I favored the Arilou. and the Chenjesu. (I can still beat him - but don't let him know I said that!) Really great memories for me. Sort of the golden age of game development when it was more about the fun and less about the money. I'm still enjoying making games but I think it will never be quite the same as that. Also want to take my turn to say thank you. I was a youngin when I read your name in the Star Control development team credits and remember how Paul credited you with art and design work as far back as the SC1 manual. At such an impressionable age, most of those names from the TFB crew are emblazoned into my memory alongside some very esteemed individuals like Orson Scott Card, Larry Niven, Robert Heinlein, Arthur Clarke, and Carl Sagan, to name a few that Paul also gave thanks to. I saw your name alongside theirs long before I'd even read any of their works, so you are guilty by association with greatness. Glad to see you on here. I know the community and Stardock will value whatever input and opinions you have for where the franchise is headed. Also chiming in to say thanks to Greg. As a kid who started out on Mario and Sonic, Starflight blew my tiny mind. Years after my copy was lost in a move, I bought several copies on eBay until I managed to find the original manual and starmap. Thanks, too, for showing up to set the record straight on this rather transparent attempt to minimize Paul and Fred's roles as the creators of Star Control. It helps to hear the truth from someone who was actually there. 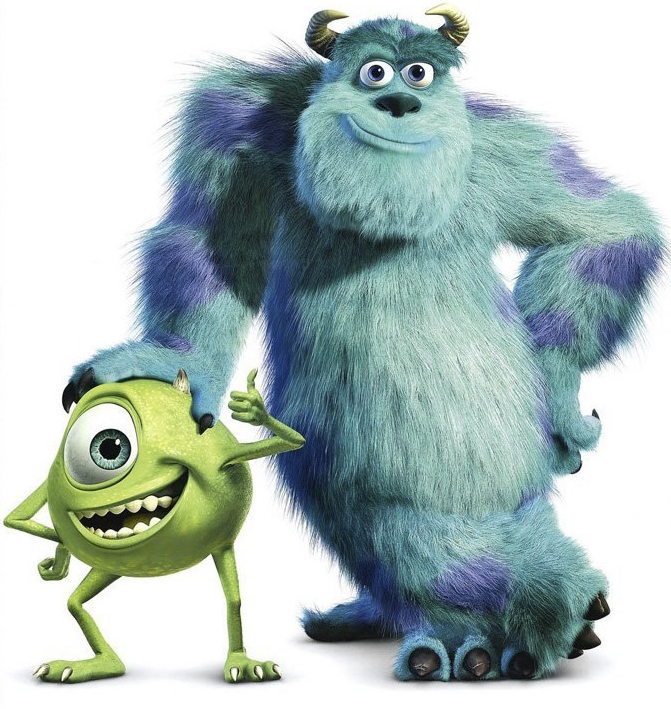 Give me these guys and a bunch of money and I can be the greatest creator too. Stardock's not minimizing their role. They're setting the record straight. It was a team effort of amazing people. Not the sole authorship of two people. Greg, who, again, was actually there, seems to disagree with you. 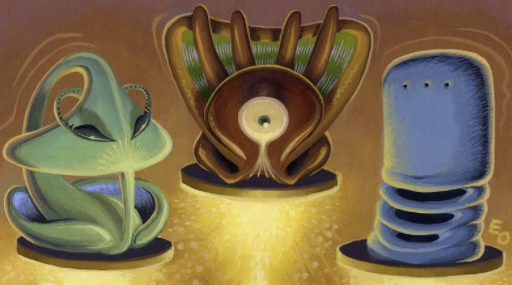 One comment I'd like to make is that this is a fine article but it leaves out a couple important things, first is that the genius of the engineering of this game was all Fred Ford, a one-man engineering marvel. We used to joke about how Fred was really an android - he is so amazing. Fred can code and carry on a conversation with you at the same time - no joke - and he never misses a step. Likewise it doesn't give enough clear credit to the creative genius of this entire Universe and all of it's amazing character, content and game play, which comes straight from the fascinating and sometimes rather bizarre mind of Paul Reiche III. Paul and I shared a tiny office in those early days, and then, once Fred joined Paul we were across the hall from each other... and we took long walks everyday in the Novato hills as I listened to Paul coming up with the characters and story of Star Control. It's Paul's delightful humor and crazy story telling that make this game what it is. His warm and playful personality shines through all of it. Paul also mentored me and guided me as I built Starflight, and as I entered the game industry 35 years ago, and then I helped out a bit on his game mostly doing art and a little of the dialogue writing with his direction. @Quatloo while you're on the subject of being offended on behalf of Paul and Fred for their contributions being called into question do you have a comment on their press release calling Brad Wardell a thief? Thanks for bringing this up. It is telling that none of the press, while busy being upset that lawyers made the technical distinction between a creator and a designer completely ignored the fact that they accused me, personally, of being a criminal. @Emily I support the creators. So the people celebrated here.